The Vantage™ Label Printer, a high-quality thermal printer with 600 DPI printing capabilities, boasts the ability to read 2D barcodes at speeds of up to 4 inches per second. The printer provides a maximum width of 4.17 inches along with a 3.5-inch TFT display. 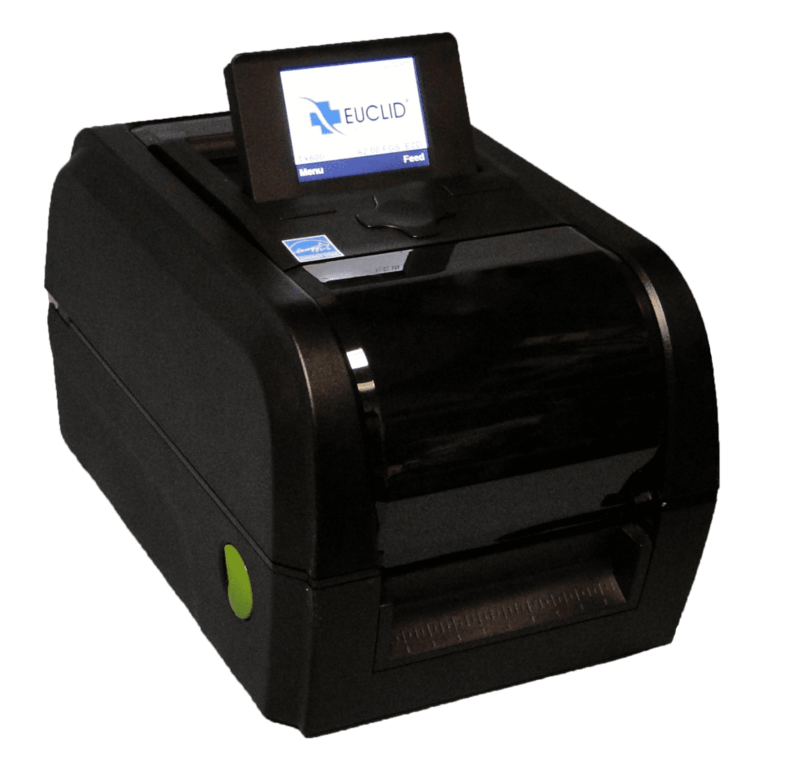 Euclid® Vantage™ software has been programmed to work with the label printer, eliminating the need for a second database of information and makes the Vantage™ Label Printer compatible with other Euclid® Vantage™ products. In order to increase patient health and wellness, hospitals require medication doses to be scanned as they leave the EDC and scanned again before a patient. The Vantage™ Label Printer allows for printing alongside packaging with The Atomic™ Liquid Unit Dose machine, meaning more efficiency for hospital staff and increased safety for patients. The Vantage™ software stores data in one place, allowing all products using Vantage™ software to access the same database, decreasing the chance for miscommunication or human error. Cost reduction by 50 percent over other printers.